The Bednet® team are problem solvers. There are times when our customers have a cargo control or cargo restraint need that cannot be met by our existing products. We love a challenge! Our product design and development team partners with our customers to create custom solutions for specific cargo control or material handling needs. 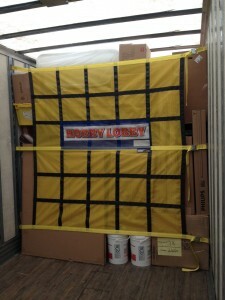 Case in point – Hobby Lobby approached us with a specific need to separate loads within a single tractor trailer. They were looking for a product to help them keep shipments restrained, save time on re-stacking after each stop (their trucks carry 3 or 4 shipments per load), and to lessen damages to their merchandise while in transit. At first they tried our existing product the Freight Saver XP by Bednet® but it did not provide the coverage area they required. So our design team partnered with the Hobby Lobby team to design a custom net that would tighten down and provide the nearly wall-to-wall coverage they needed. 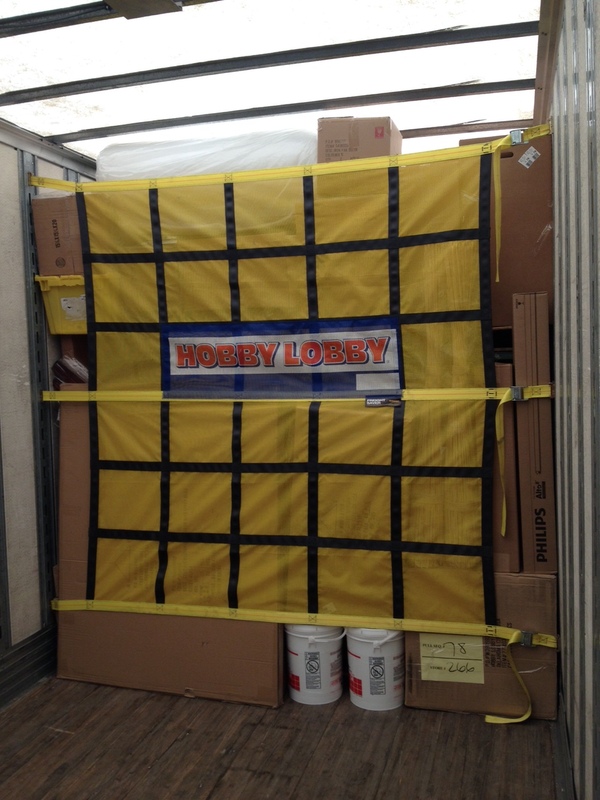 The result was a custom net branded for Hobby Lobby and solved the challenge of restraining and separating shipments while keeping their merchandise safer.